Resin and white metal kits from Germany. FSF also markets vehicle accessories, figures and diorama items. WZ 4 Polish small tank "Tankette TK3"
WZ 5 Polish armoured car "WZ 34"
WZ 20 German lorry HWA 526D "Einheitsdiesel"
WZ 41 2cm AA Gun FLAK 38 Resin with turned-brass gun barrel. 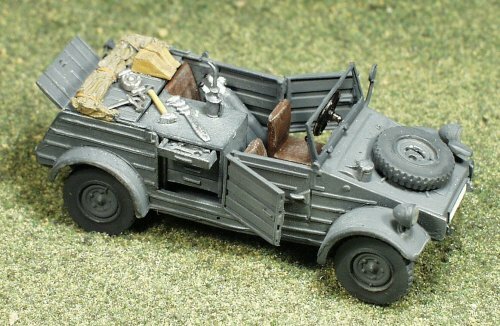 WZ 52 VW Kübelwagen Ambulance Contains the WZ 50 kit, plus additional parts for this version. 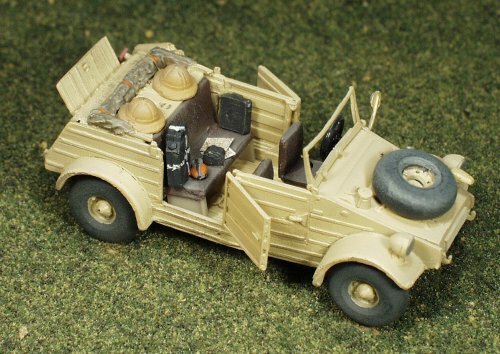 WZ 53 VW Kübelwagen w/Panther Tank Starter Contains the WZ 50 kit, plus additional parts for this version. TL 014 Hunting Tank IV "ZwischenlÃ¶sung"
WZ 56 Panther Tracks White metal tracks. WZ 60 Aunt Jemima Mine Roller For Sherman tanks. PW 002 M51 Sherman Tracks White metal tracks for HVSS Shermans.